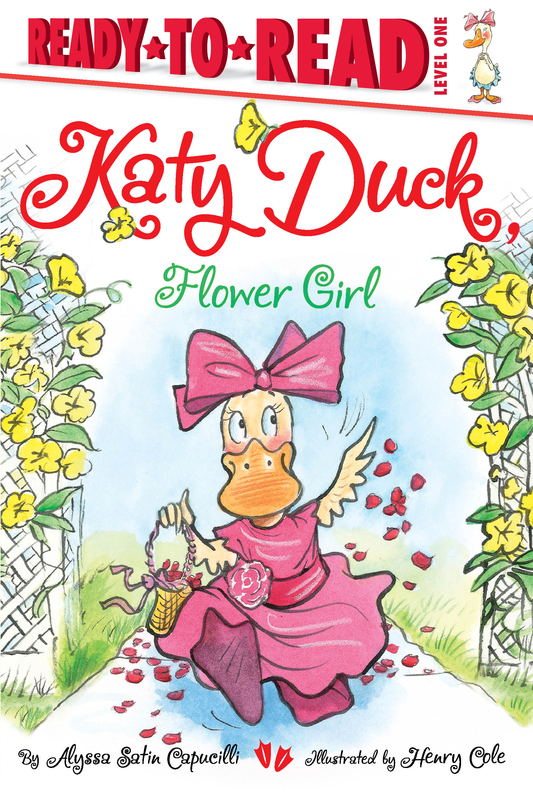 When Katy Duck’s Aunt Ella decides to get married, she asks Katy to be the flower girl! Katy can hardly wait. She practices her “flower girl” moves: swaying like a daffodil in the wind, stretching like a tulip in the sun. But then Katy learns that instead of dancing as a flower, she will be tossing petals at the wedding. So she decides to turn her supporting act into more of a starring role! With sweet text from bestselling author Alyssa Satin Capucilli and bright, friendly illustrations from Henry Cole, this uplifting Level 1 Ready-to-Read story is sure to become a favorite for beginning readers!